The Cost of Weddings in Italy – So How Much Will We Have to Pay? I would love to say that it costs X to get married in Italy. Although as I’m sure you’re fully aware, cost is actually very difficult to define as it depends on so many variable factors; the region you would like to get married in, the time of year of your wedding, the number of guests attending, your personal tastes … the list really goes on and on! 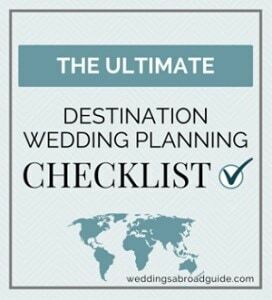 However, in order to give you a rough guideline, I asked some of the Italian wedding planners who are members of the Destination Wedding Directory to give a helping hand. 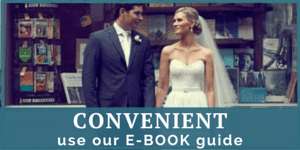 Below you will find the general cost of weddings in Italy and some fabulous insider tips and advice about what to consider when drawing up your wedding budget. Britta from the Wedding Planning Company Creative Wedding has put together estimated costs of getting married in Italy in 2017. The prices below include the ceremony and reception. Lake Garda, Tuscany and Sicily are regions that are good for budget restrictions. Lake Como is very trendy at the moment, so the Town Halls do charge high tariffs for civil weddings, especially when they take place outside. Weddings on the Amalfi Coast, in Rome and Venice can be more luxurious and prices tend to be higher than in other regions of Italy. If you can book your wedding a year in advance you will have the ability to negotiate prices with vendors and suppliers. If you book later your negotiation power will not be as strong. For additional information on wedding costs in Italy contact Britta at Creative Wedding, using the form on the following page, who will be happy to answer any questions you may have. In response to a question posted in the Weddings Abroad Guide Community (our closed Facebook Group) about what it costs to get married abroad and what the breakdown of other couples budgets was, Jo from the Italian Wedding Planning Company Accent Events offered some very logical and sound advice. Following this, we asked Jo how to go about choosing a venue that will WOW your guests that also meets all your requirements while staying within your wedding budget. To Find out more, read Jo’s 10 ESSENTIAL points to consider before you book your wedding venue in Italy, which includes a breakdown of costs and what you may expect to pay. If you are thinking about getting married in Italy but are trying to keep your costs down, Daniela from Italy Italian Weddings has put together some brilliant tips to ensure you have your dream wedding in Italy without breaking the bank. 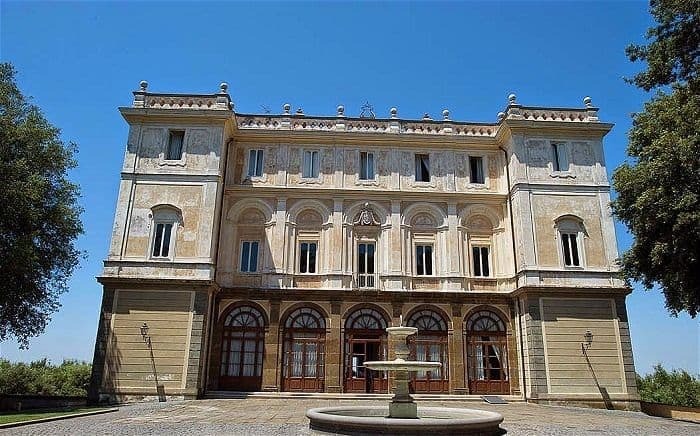 To find out more, read her insider tips about the cost of weddings in Italy on a budget plus an example of how far your money would stretch when getting married in the Castelli Romani District, twenty minutes from Rome. Before you start planning or even decide if getting married abroad right for you, it’s incredibly reasonable and completely sensible to have a realistic ballpark figure of what the cost of weddings in Italy currently are. There are a lot of variables and different ways to plan a wedding in Italy so looking at the average cost is not always as helpful as it should be and may not reflect the vision you have for your wedding. I’m passionate about helping you have the perfect wedding in Italy and I’m more than aware that its success (and how smoothly the planning process goes) hinges having the right team of people in your corner. 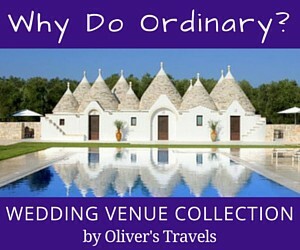 Weddings Abroad Guide promotes the services of some wonderful wedding suppliers in Italy who can create a unique wedding abroad that reflects your individual style and personality but more importantly stays within your wedding budget. To kick-start your planning, it’s helpful to contact as many wedding professionals as you can and provide as much information as possible about your initial ideas and plans (we know you will not know everything at the moment and that’s more than okay). This will help them provide you with an estimate on what your wedding in Italy may cost and how you can tailor your budget to fit your specific ideas and requirements. 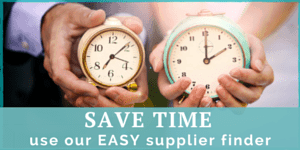 To connect with wedding planners in one easy step use the form below and your enquiry will be forwarded to over 30 members of our Directory who work in Italy (click here to learn more). If you would prefer to individually choose which wedding planners, venues, photographers etc. to contact, you can do so here. 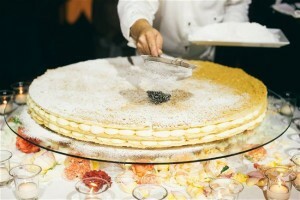 Alternatively, if you would like to connect with luxury wedding vendors, our hand-picked list of Luxury Wedding Planners in Italy are known for their professionalism and precision in the management of very tailored destination weddings and events. The “Luxury Wedding Planner” is a time invested service, an approach which works well for busy professionals who require an accessible dedicated resource. I hope the above information has been a helpful starting point. To connect with wedding planners in one easy step use the form below and your enquiry will be forwarded to over 30 wedding planners who work in Italy. We will then forward you a handy spreadsheet to help you collate and evaluate your responses. Click here to learn more. 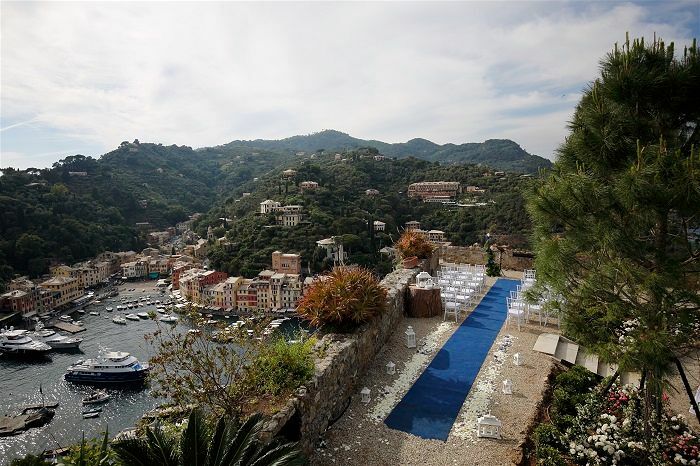 Find more planning tips and advice from our Italy wedding experts plus what different regions of Italy have to offer as a wedding destination and more cost and budget tips to ensure you have your dream wedding in Italy without breaking the bank.